I’m really digging the remake of Final Fantasy IV on the DS. I never really bothred with the GBA port, so I decided this was the perfect time to dive back into my past a bit. I’m really starting to get tired of JRPGs (and RPGs in general) that want to move into “real-time action” territory. I don’t have a problem with action games, in fact I quite love them. I only wish that RPG developers could figure out different “innovations” than just mapping leveling-up and looting systems to a less than wonderful action game, which is what many of those games tend to become. Sometimes simple RPG mechanics with a lot of charm are enough to win me over. I don’t need to have some insanely deep system that’s a headache to even figure out before it becomes any fun. 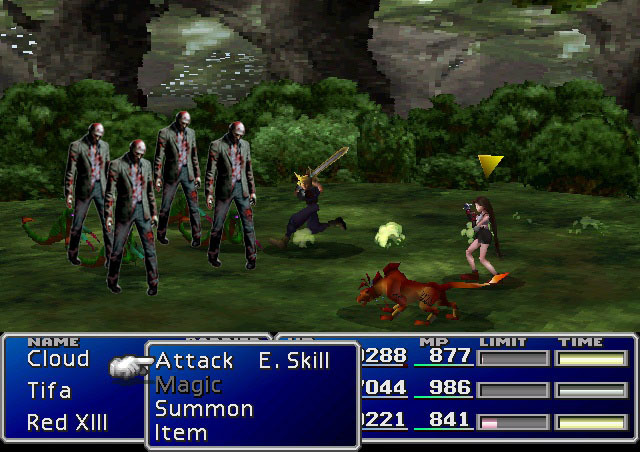 I just want an engaging battle system with an addictive level-up mechanic. Add a twist or two, but keep it within reason. The same goes for strategy games too, they need some more turn-based love. Games like Disgaea and Civilization Revolution are so much fun to play and yet we see so very few of them. I honestly wonder what’s stopping a good developer from taking a compelling concept and developing a great turn-based RPG with a couple of really great innovations in it. Where’s my turn-based zombie survival RPG with a dark and human story ala The Walking Dead or my giant online co-op turn-based mecha/monster battle RPG? Let me and my friends form Zoltron (Voltron’s lesser-known cousin) and bash some giant alien monster heads in. Give me something strange, daring and different! The game that will never be!